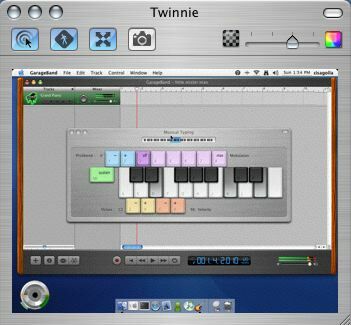 Something I've always wanted: use your typing keyboard to make music using GarageBand 2. Now your laptop can be another instrument! Combine that with music notation and it's a whole new world. I tried notating a Software Instrument at MacWorld, and it transcribes in real time as you record. Heavily educational. Can't wait!